What this book is NOT: An exam simulation. 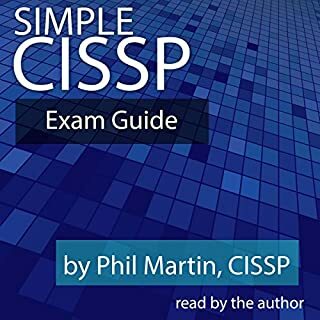 What this book IS: A way to make sure you know the material, so you will pass the exam. Test your knowledge while driving/working out/base jumping! 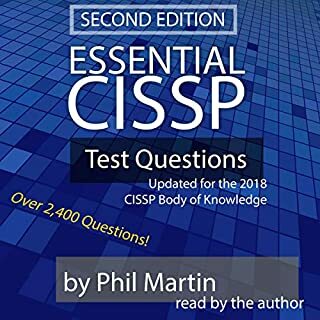 Over 800 terms, definitions, and questions covering all four CISM domains are presented in this book. The audio book contains two sections. 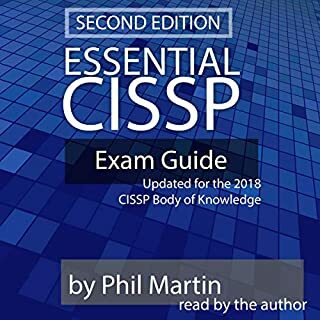 Section 1 presents all items in order as each appears in the Essential CISM Exam Guide book. Section 2 increases the difficulty by randomizing the order of all items - this will really test your knowledge and better represents how the actual exam works. 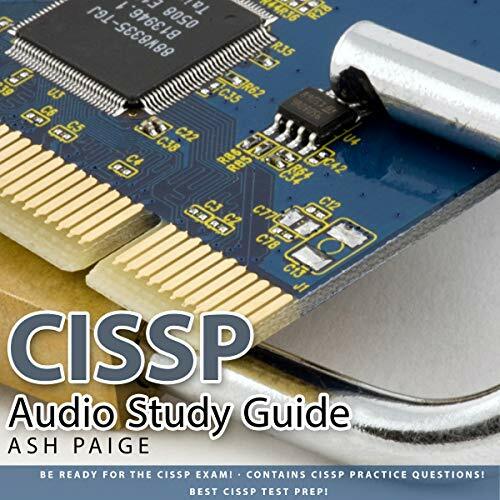 The CISSP Audio Study Guide is a vital tool in preparing for the difficult CISSP Exam! This undoubtedly will help you in your test preparation! The study guide contains practice questions with rationales so you can understand the "why" behind each question! It also gives a brief overview of the test. The audio version is perfect for busy students since it can be enjoyed while at the gym or walking around campus! 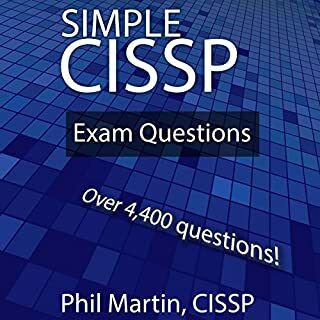 The CISSP certification is the gold standard for security professionals, and we wish you the best as you embark on a rewarding new career! I cannot express my opinion strongly enough that this should be avoided! In my opinion, this is *so bad* I wonder if it is not an intentional scam. The 1 hour run time should be enough of a tip off! Finally the explanations seem WAY too long, yet have no citations. Explanations read painfully slow also. I demand a refund for this worthless kindergarten novel for such a detailed and complex subject. The only reason for 1 star was becouse I couldn't give it negative stars. not worth your time!!! only goes over high level! not worth your time!!! only goes over high level overview of exam! 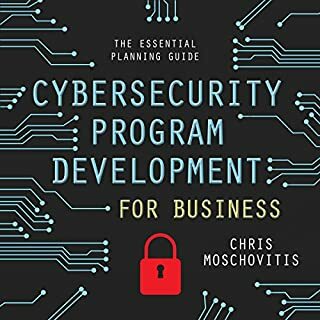 think content list and chapter over view. only 1 hour long really! Good information but too short! only 15 questions. It takes about the same amount of time to read the disclaimers and whatnot than it does the actual 15 questions. But 15 questions is all you get. 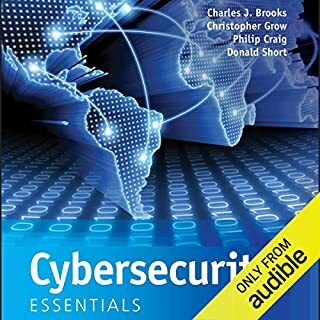 Would be nice if there were more questions and they were all explained in detail as the 15 in this audio book... but... sadly it's not. Waste of time and money. What’s the point of a study guide with only 15 practice questions? Awful. Returning this now. Reader doesn't understand terminology being read. No inflection, no personality. I abandoned halfway through because it was all drone and no info.